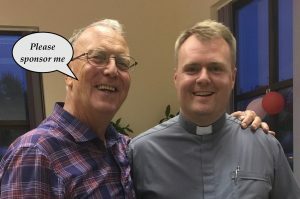 I am having my head shaved by Fr Bart! For more ideas on how you could organise your own sponsored event, please click here. This takes place every Wednesday from 2.00 pm to 10.00 pm. Please visit the page dedicated to the Apostolate of Eucharistic Adoration. Sunday 19th May we will celebrate the Feast of St Simon Stock. After the 11.00 am Mass there will be a parish picnic/BBQ, sponsored walk, social entertainments and plenty of fun activities for all the family. Thursday 30th May – Feast of the Ascension of the Lord – After the 7.00 pm Mass there will be our parish celebration in Emmaus Hall for the 10th Anniversary of Fr. Bart’s Ordination. Sunday 30th June – 11.oo am Thanksgiving Mass for Deacon John Newman’s deaconal ministry marking his retirement. Saturday 6th July at 12.30 pm Martin Smith will be ordained Deacon at Southwark Cathedral. More details to follow in the next couple of months. Saturday 13th July from 11.00 am – Parish Summer Fair. Enquiries: mflbereavement@rcaos.org.uk or (earpartridge@gmail.com) Phone: 01303 670880.